UC Merced graduates are wrapping up finals and getting ready for UC Merced's 13th Spring Commencement ceremonies this weekend. This weekend, 1,250 UC Merced undergraduate and graduate students, including 52 doctoral candidates — the most in the campus’s 12-year history — are expected to cross the commencement stage and embark on the next chapter of their lives. This year’s graduates hail from 41 California counties, three other states and seven other countries — Chile, France, Germany, India, Mexico, Pakistan and China. The graduates range in age from 19 to 62 years old. Maria Cardona, a political contributor for CNN and CNN en Español, will speak to about 600 new graduates from the School of Social Sciences, Humanities and Arts at 9 a.m. Saturday, May 12. Central Valley native Lenny Mendonca, a civic leader and entrepreneur, will speak to more than 600 new graduates from the schools of Natural Sciences and the Engineering at 9 a.m. Sunday, May 13. Tickets are required for admittance to both ceremonies. Guests who do not have tickets may view the ceremonies from the Dr. Lakireddy Auditorium or stand along Scholars Lane and view from there. A livestream will also be available for viewing. 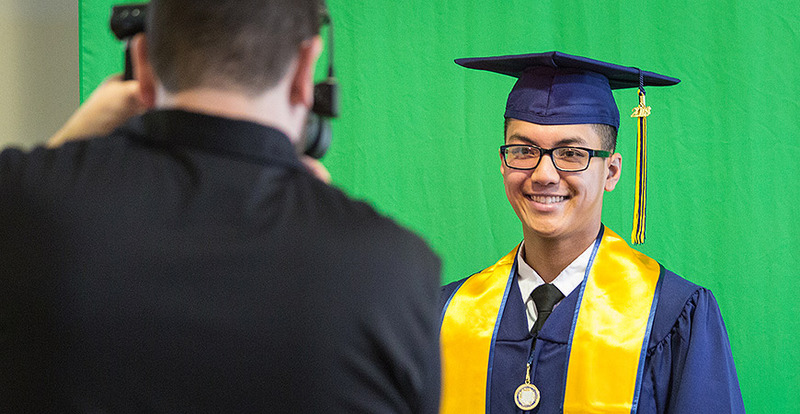 In addition to the two commencement ceremonies, several groups at UC Merced will host celebrations for graduates and their family members and friends. For more information, visit commencement.ucmerced.edu.